Candycane Marketing began as an idea and gradually grew into a business. After many years of being part of on-line communities and social media I saw how small businesses’ struggle with having an internet presence. I decided to use my skills and knowledge to help small business’s with their websites and social media. The first step I took was to update my skills and knowledge. 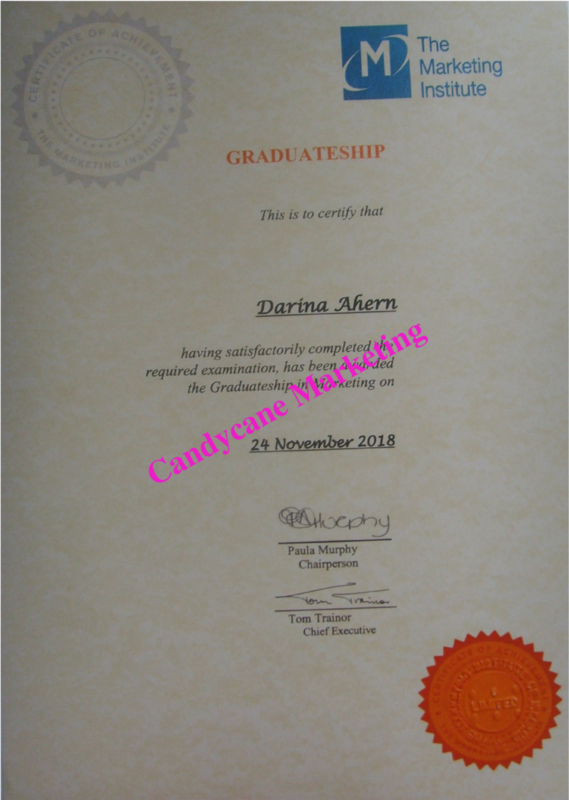 In 2013 I completed a Digital Marketing Diploma from Dublin Business School. I am registered with https://www.revenue.ie/ as a sole trader and my Tax Profile is available on request. 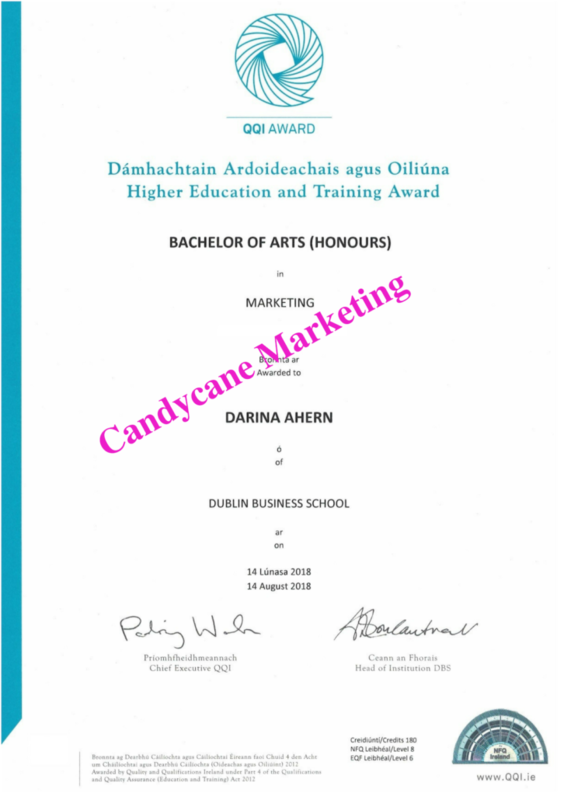 In 2018 I completed a 4 year degree in Marketing with Digital Media from Dublin Business School. In 2019 successfully passed the entrance exam to The Marketing Institute of Ireland and I am now a member.